An individual session either in the comfort of your own home or out on location may be more beneficial than attending classes in certain situations. You may not be able to get to classes or your dog may not be suited to classes. Your problems may not be resolved through classes or you may just prefer individual attention and support. Help is available on choosing the right dog or puppy, to give new puppies and re-homed dogs a ‘good start’ or for older dogs to focus on specific training or behaviour issues. One session may be all that is needed in some cases. Otherwise training packages to meet your individual needs can be arranged. With certain behaviour problems such as aggression to people or other dogs, or with problems when being left alone, a more in depth approach is necessary to provide the most effective help for you and your dog. 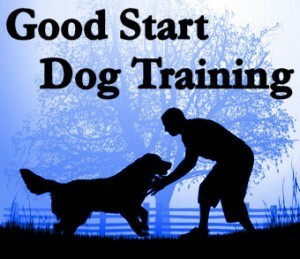 This will involve a detailed assessment of your dog to help find out all that is contributing to your dog’s behaviour. This will usually involve meeting the whole family and discussing the problem, your pet’s daily routine and observing your dog. From this a treatment plan can be draw up for your individual situation. This may include training and / or a behaviour modification programme. Ongoing support and help is an essential part of the programme as you work through things with your dog. 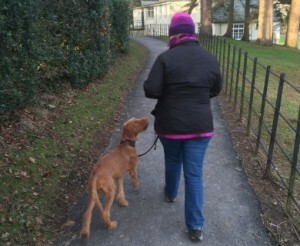 All methods used in ‘One to One’ sessions are non aversive, kind and effective to suit you and your dog.